Comfort and durability are footwear essentials. Danner knows it, and that's why they crafted these Danner Men's Saddle Tan 36221 Mountain 600 Chelsea Slip-On Boots. These are built with a hardy upper and outsole, and they feature a number of characteristics to prov ... (see full details) (see specifications) #36221. Comfort and durability are footwear essentials. Danner knows it, and that's why they crafted these Danner Men's Saddle Tan 36221 Mountain 600 Chelsea Slip-On Boots. These are built with a hardy upper and outsole, and they feature a number of characteristics to provide underfoot support through each and every wear. Durability is essential in footwear, and these men's cushioned boots won't let you down where long-lasting quality is concerned. They're designed with a premium full-grain leather upper. Leather is a tough material, and it holds up well to the effects of regular use. Beneath the leather upper found on these slip-on Saddle tan boots is a Vibram Fuga outsole. The outsole features Megagrip technology, which offers superior grip on both wet and dry surfaces. In addition to being strong, the outsole is also slip-resistant, which you'll surely appreciate. Aside from durability and quality, these men's leather boots offer comfort in the form of flexibility and support underfoot. 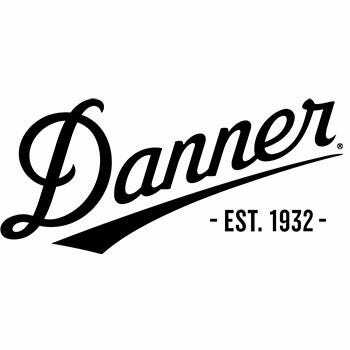 It starts with the flexible Ariaprene collar material, which allows you to effortlessly slide your foot in and out of the tan work boots from Danner. Not only will you have a quick and easy time thanks to the Ariaprene collar, but you'll enjoy a pleasing, stretchy fit around your ankle, too. Inside the slip-resistant Mountain 600 boots, you'll benefit from the support of a Vibram SPE midsole and an Ortholite footbed. The footbed features an open-cell polyurethane design that provides lightweight yet supportive cushion beneath your feet. The open-cell design is also great because it provides even weight distribution, increased air circulation, and heat dissipation. Your feet will feel cooler and will experience less sweating thanks to the open-cell design. In addition to the footbed, these flexible Danner boots feature a supportive midsole. It absorbs the shock that results from ground strike impact, so your feet don't feel as sore or tired from extended use. To benefit from the comfort, durability, and overall long-lasting quality these Danner Men's Saddle Tan 36221 Mountain 600 Chelsea Slip-On Boots will provide, get them here at Working Person’s Store today. With the simple click of a button, they can be yours. Danner Boots: Men's Saddle Tan 36221 Mountain 600 Chelsea Slip-On Boots is being added to your cart.